The roadmap still remains the same: starting with Vega 14nm, we will get a shrink down to 7nm and then move on to Navi – also at 7nm. Finally, we will get the next gen architecture sometime near 2020 which will leave behind GCN once and for all. 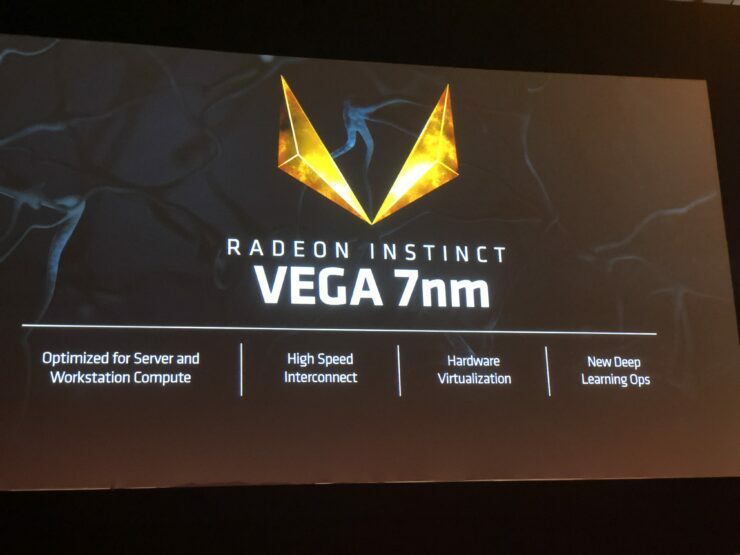 The new Vega Instinct will be based on the 7nm process which offers 35%more performance since the last generation node (14nm) and has twice the power efficiency meaning it can do that in half the wattage. Density has also doubled allowing for either drastically smaller die sizes or twice as big GPUs. Considering NVIDIA does not have a 7nm processor right now (Volta is 12nm) this represents one of the few times the company has overtaken its competitor (on paper) as far as roadmap goes and represents a significant leap as far as power and performance efficiency goes – which is pretty important for the server and data center market. 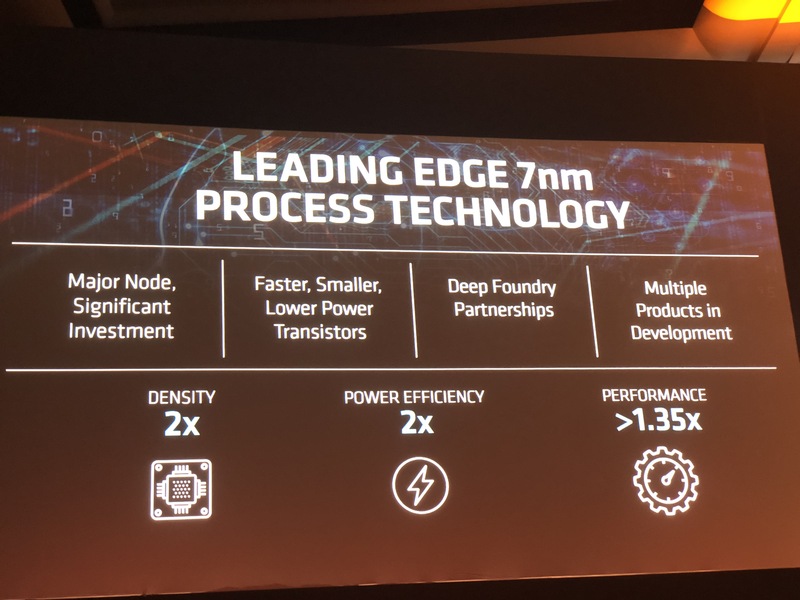 Cost and volume were two things that were not mentioned but considering 7nm is the very bleeding edge of fabs right now – yields can’t be all that pretty. In other words, this card is going to be expensive as hell.